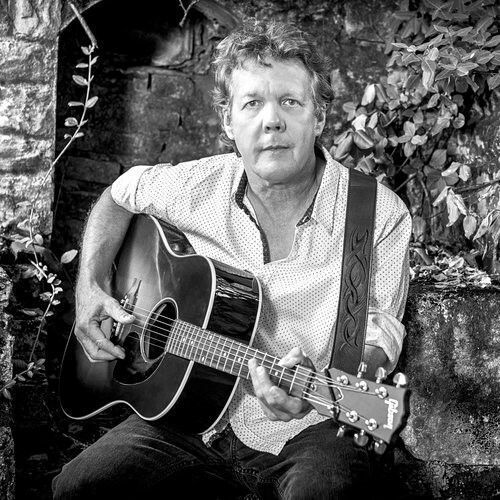 Compromised is Steve Forbert's newest and from the comparative essay of the disc's title song,(complete with catchy chorus and signature harmonica solo), to the exasperated advice for "everyman" on the album closer, "Whatever, Man,"
Steve Forbert leaves no stone unturned in his exploration of life, love, turmoil and survival. After years with local bands, Steve Forbert left his hometown of Meridian, Mississippi in his early 20s and headed for the Big Apple in search of recording deals and larger audiences. He started out playing for change at Grand Central Station and hitting every open mic night he could before eventually moving into the club scene at infamous spots like New York City's CBGB's. At a time when rootsy rock was fading in favor of punk-edged bands such as the Ramones, Talking Heads, and Blondie, Forbert's folk-pop "Romeo's Tune" hit #11 on the charts and brought him into the international spotlight.